The Duke and Duchess of Cambridge have released three official Christmas photos of Prince George, and they are absolutely adorable! 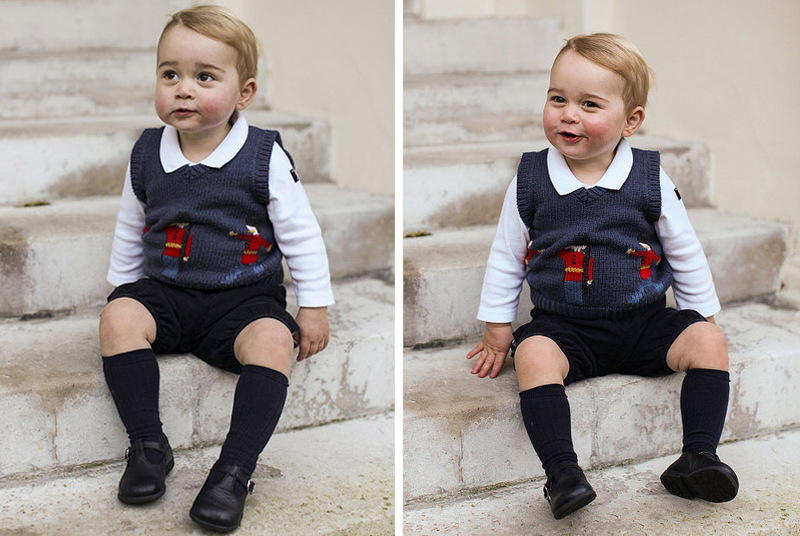 Taken by his uncle Prince Harry’s private secretary last month, these are the latest photos taken since George turned one on July 22nd. The 17-month-old can be seen wearing the cutest sweater vest from Cath Kidston, knitted with a traditional guardsman motif. Unfortunately this item is no longer available, but is due to be re-released due to popular demand. In the meantime, there are other novelty items from the ‘Guards’ collection that we love. Underneath, George wears this comfy cotton bodysuit from Polarn O Pyret, along with a pair of 'Griotte' bloomers and matching socks, both by Amaia Kids. 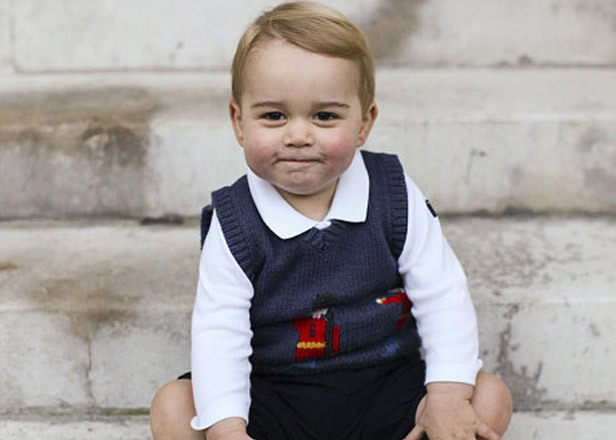 Last but certainly not least, the young Prince sports a pair of classic navy leather First Walkers’ from Start-Rite. 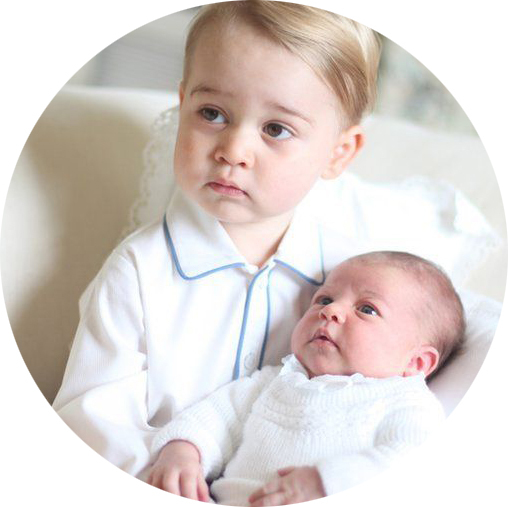 We hope Kate, Will and George have a wonderful Christmas, with love from us here at What Royal Babies Wore!